Traditionally, a project is a set of interrelated and specific activities to be undertaken to attain certain objectives. Appraising a project means investigating details on appropriateness, feasibility and acceptability of the project. In this Project Appraisal Checklist you can read about steps for evaluating your projects. Problem/Opportunity. Determine the problem being addressed or opportunity being exploited by the project. Goals. Investigate goals of your project and make sure they are closely linked to the problem/opportunity. Contribution. Determine what overall improvements (contribution) your project provides. Benefits. Make sure benefits of your project are worth of the costs. Resources. Define inputs required to do the project. Approach/Methodology. Investigate the approach or methodology you’re going to use in your project and make sure it’s appropriate for realizing the benefits. Risks. 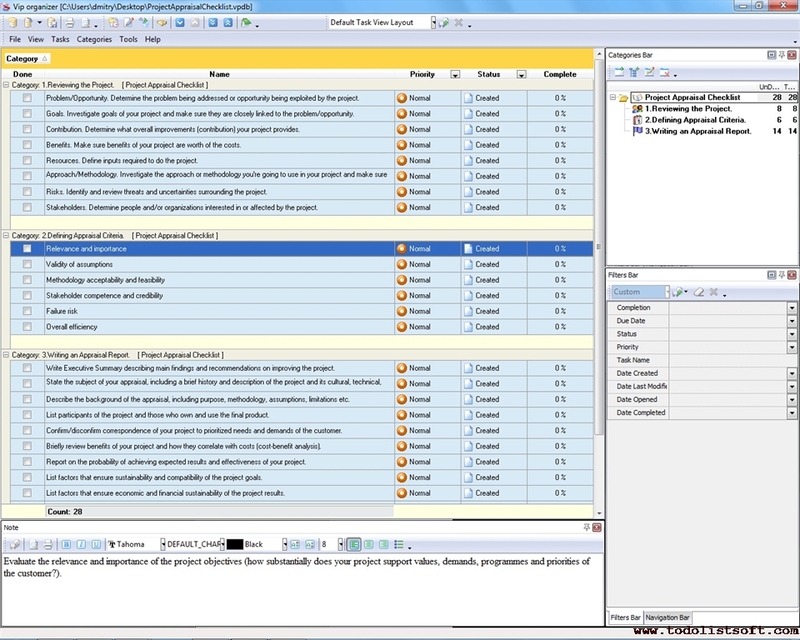 Identify and review threats and uncertainties surrounding the project. Stakeholders. Determine people and/or organizations interested in or affected by the project. Relevance and importance. Evaluate the relevance and importance of the project objectives (how substantially does your project support values, demands, programmes and priorities of the customer?). Validity of assumptions. Assess the validity of project assumptions (how realistic and accurate are these characteristics?). Methodology acceptability and feasibility. Examine and prove/disprove the logistic, economical acceptability and feasibility of your project methodology (how well does the methodology support the project? How acceptable will it be to other project stakeholders? How reasonable and adequate will be its inputs and outputs? Stakeholder competence and credibility. Evaluate competence and credibility of key stakeholders including the owner, team and customer (how capable is the project team? What financial power can the sponsor provide to your project? How "deeply" can the customer be involved in the project? Failure risk. Assess the risk and consequences of unexpected results or failure (how sensitive will the project be to changes occurring in the working environment? How can undesirable factors and outcomes be mitigated? Overall efficiency. Evaluate the overall efficiency of your project (cost-benefits analysis – benefits versus costs). 3. Writing an Appraisal Report. Write Executive Summary describing main findings and recommendations on improving the project. State the subject of your appraisal, including a brief history and description of the project and its cultural, technical, natural, economic, and social environments. Describe the background of the appraisal, including purpose, methodology, assumptions, limitations etc. List participants of the project and those who own and use the final product. Confirm/disconfirm correspondence of your project to prioritized needs and demands of the customer. Briefly review benefits of your project and how they correlate with costs (cost-benefit analysis). 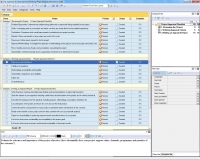 Report on the probability of achieving expected results and effectiveness of your project. List factors that ensure sustainability and compatibility of the project goals. List factors that ensure economic and financial sustainability of the project results. Confirm appropriateness of technology used within the project.